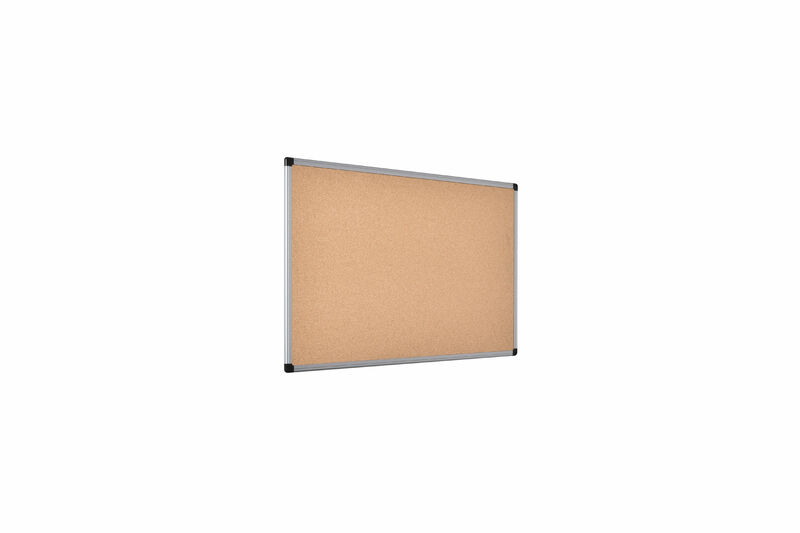 Easily pin posters, notices and information for display on this Bi-Office Noticeboard. 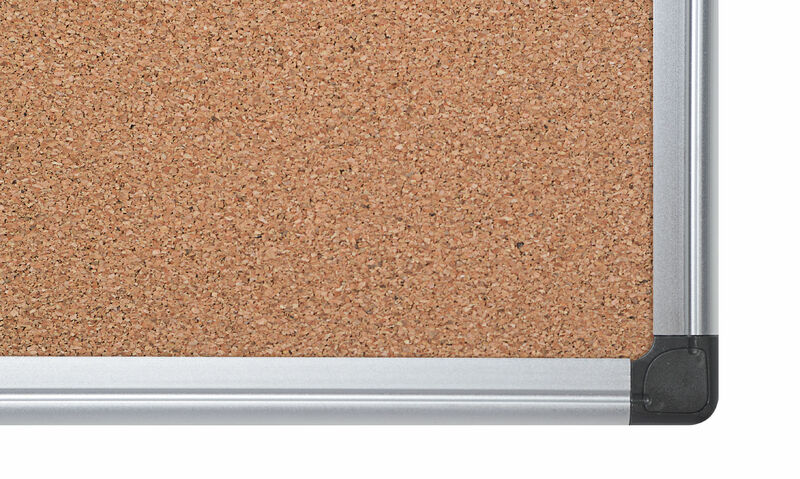 The top quality natural cork surface accepts pins for affixing documents and is self-healing to hide unsightly holes. 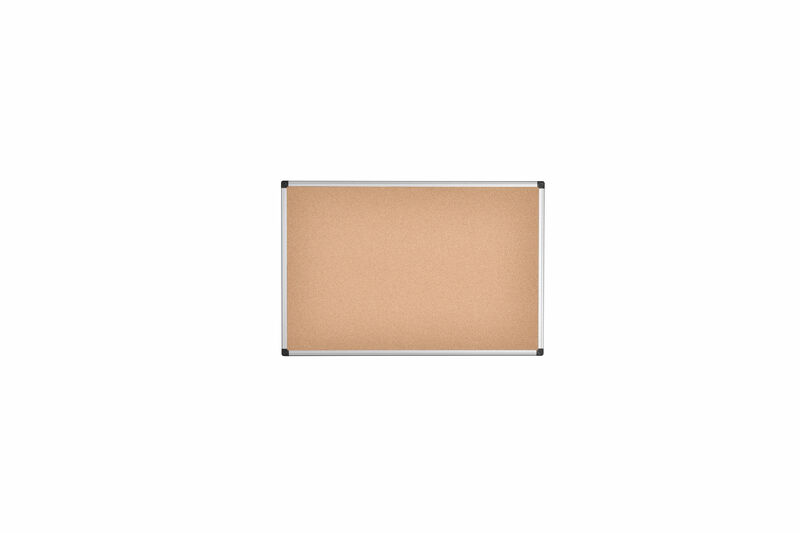 The solid aluminium frame provides rigidity and a sleek look suitable for any office. It includes a wall fixing kit with corner caps that conceal the fittings for a quality finish.